The only annual training in the world on commercial vermicomposting, this event provides the tools you need to start or expand an earthworm or vermicompost production operation. At this conference there will be ample opportunities to get answers to your questions from industry experts and other growers. During this two-day conference, participants learn how to start or expand an earthworm or vermicompost production facility. Key issues for vermicomposting operations are covered, such as earthworm husbandry, feedstocks, equipment, permits, monitoring, harvesting, and selling your products. You will also understand how vermicompost affects plant growth and suppresses plant pests and diseases. Although dairy manure is the leading feedstock used in large vermicomposting operations, an increasing number of facilities are using pre- and post-consumer food residuals. Speakers at this year’s conference will describe their experiences using these feedstocks. Selling vermicompost products is another important topic discussed at the conference. Some people are so focused on setting up worm bins and getting their earthworm population growing that marketing products is an afterthought. Therefore, developing diverse markets is explained and emphasized during the conference. 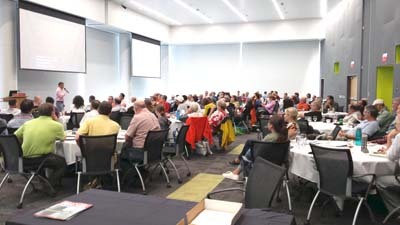 At least 100 people attend each year from all over the United States and throughout the globe. Past participants have come from Argentina, Australia, Austria, Bahamas, Belgium, Canada, China, Dominican Republic, England, Germany, Greece, Guatemala, Hong Kong, India, Israel, Latvia, Mexico, Micronesia, Nicaragua, Nigeria, Norway, Philippines, Puerto Rico, Singapore, South Africa, Spain, Switzerland, Thailand, Trinidad & Tobago, Turkey, Uganda, United States, and Zimbabwe. 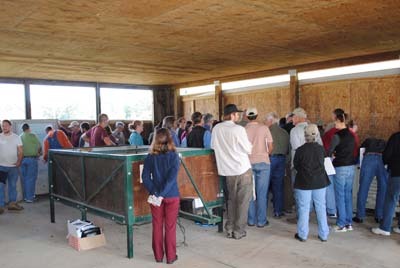 Why attend the 20th Annual Vermiculture Conference? Mark your calendar for October 26-27, 2019 and join worm aficionados from all over the world at this unique event. Click the Registration link and register online today! NCSU extension information on vermicomposting.